Picture being able to drive around Georgia in a stylish, versatile and compact SUV that can provide you with an enjoyable ride. At Headquarter Nissan in Columbus, GA, drivers can survey a large selection of new Nissans in stock including the 2016 Nissan Juke. As one of the state's top-rated Nissan dealerships, Headquarter Nissan has served Ft. Benning, Cataula, Lagrange, Phenix City and Auburn, GA for a number of years with an excellent array of vehicles in stock. Stop by Headquarter Nissan at 1725 Whittlesey Rd. and explore the new Juke today. Compact SUVs have become some of the most popular compact SUVs, so let's see how the 2016 Nissan Juke does against the Subaru Crosstrek. Both the Juke and Crosstrek shine at being affordable SUVs that can be enjoyed everyday. However, one of the vehicles will save you money in the initial purchase. The Juke has a MSRP of $20,250, while the Crosstrek starts at $21,595. That's a price difference of $1,345 in the favor of the Juke. With the Juke's more affordable price tag, it's the clear option. While both cars are classified as compact SUVs, the new Juke can provide you with a more enjoyable ride. 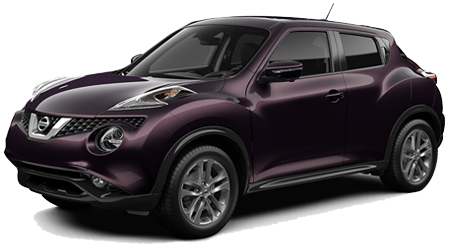 The Juke comes with 1.6-L four-cylinder engine that produces 188 hp and 177 lb.-ft. of torque. 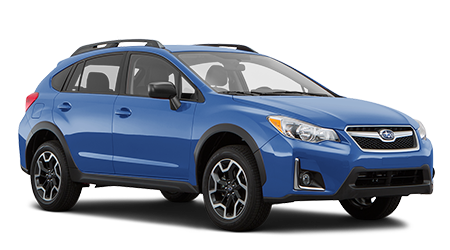 In comparison, the Crosstrek is equipped with a 2.0-L four-cylinder motor that generates 148 hp and 145 lb.-ft. of torque. Thanks to a CVT, the Juke is also more fuel efficient, as well. To provide you with the ability to enjoy driving the Juke on a regular basis, the compact SUV comes with a lengthy warranty. The SUV comes with a 3-yr./36,000-mile basic warranty, 5-yr./60,000-mile powertrain warranty, and an unlimited-mile corrosion perforation warranty. When it comes to getting into a compact SUV that can give you a thrilling ride, the 2016 Nissan Juke is a great option. With the Juke's powerful engine, better fuel economy and more affordable price tag, it has the edge over the Subaru Crosstrek. Come by Headquarter Nissan at 1725 Whittlesey Rd. and discover the Juke today.